As a Landscape Architect specializing in creating healthy outdoor play and learning environments, much of my work is focused on parks, playgrounds, and schools. This past year, as a fellow of the San Diego Gathering Space Program, I was introduced to the importance of and potential in creating community gathering spaces to increase the quality of life for both children and families, and neighborhoods as a whole. Neither parks nor playgrounds, these spaces typically involve transforming an undesirable piece of land into a place designed and built by the community itself. 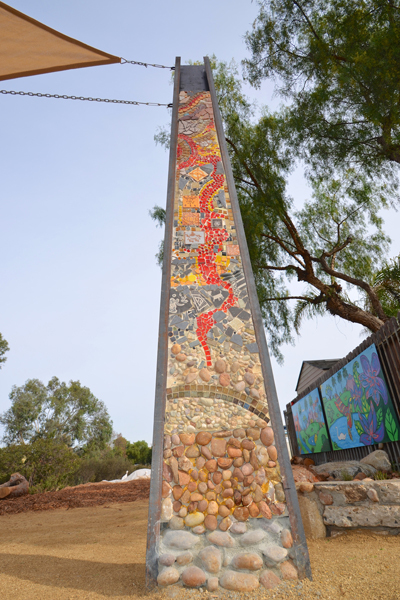 The San Diego Gathering Place Program began in 2012 with the goal of restoring and expanding access to underutilized outdoor spaces considered to be a blight on the communities of San Diego County. ARTS (A Reason To Survive), a San Diego-based non-profit that runs arts-based programs with youth who face adversity, teamed up with The Pomegranate Center, a Washington-based non-profit specializing in creating community-built gathering spaces, to become their San Diego affiliate and lead future Gathering Place Projects. In early 2013, The Pomegranate Center trained ARTS, along with 25 of San Diego’s community leaders, artists and designers in an expeditious, community facilitation process with the goal of creating Gathering Place “fellows” to lead community work in San Diego. 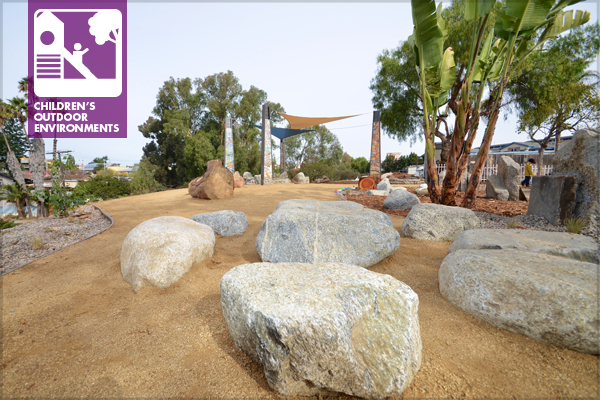 Through a competitive selection process, Butterfly Park in National City and Manzanita Canyon in City Heights were chosen as the first community-build demonstrations in San Diego County for 2013. As a fellow on the Butterfly Park Project, and then hired as the project manager and community facilitator for the Manzanita Gathering Place, I saw first-hand how these spaces transformed their neighborhoods and the children that lived in them. On a construction and materials budget of $20,000 and a rapid 4-6 month time frame, these degraded sites, enabling unwanted activities, were transformed into unique, culturally rich spaces treasured by the community. What is amazing about these projects is not just the final outcome, but the process and the impact they have on the community. Through a participatory design process, the communities are involved in every step of the transformation. 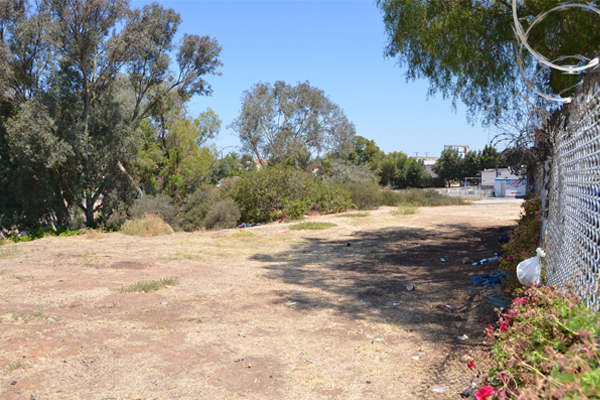 In City Heights, for example, it was a dedicated group of community activists that proposed this 1,500-square-foot, heavily degraded lot to be considered for the San Diego Gathering Space Program. The site sat within ¼ mile of four schools, was closed off to the neighborhood by a barricade of razor wire fencing, supported encampments of drug users and the homeless, and did nothing to support the ecological health of the adjacent Manzanita Canyon trail system. In August of 2013, a steering group of community leaders, policy makers, local business owners, youth programs, artists, and designers, were assembled to help guide the process. A large effort was made to make sure that all appropriate stakeholders were included. At the onset of the project, it became clear that it was critical to engage the youth of the community in the process. They would be the predominant users of the site and were the eyes and ears of the neighborhood. In early October, the team held a week of community input meetings and design workshops to spearhead the design of the gathering place. On day one, we invited the community (both youth and adults) to an input meeting at the local middle school. About 50 participants helped to compile a programmatic list of what should be in the gathering space. Working in groups, they produced the first rounds of designs for the site. Immediately, we could see what was important to the community: a safe place to gather, to celebrate local culture and identity, and overall improved ecological health of the area. On day two, thirty-five students (mostly middle school students) attended the student design workshop. The students walked the site, recorded their observations, and worked in teams to design the space. First and foremost, these students wanted a place just to be kids and hang out. Although some of them started off shy and intimidated, unwilling at first to draw their ideas, they were all so proud of the designs they produced. For most of them, this was their first exposure to landscape architecture and design. After a two-day open door design charrette with the community, we invited the students back to make a model of the final design. We then used the model along with some renderings in a presentation to the community the following week (just one week from the first input meeting). The result was astonishment at the potential that this distressed site had for their neighborhood. With smiles and thumbs ups, we were given the go ahead to proceed. The next three weeks were spent detailing, applying for permits, cost estimating (remember we only had $20,000), calling in favors and donations, and planning for the work days. During this three-week period, we did not want to lose community motivation. Three local artists opened up their studios and invited the community in to design petroglyphs that represented themselves or their families, their communities, their culture, etc., and sand blast them on to tile that would be installed in the gathering place. We had many people come in and out over the three-day, art-making workshops. However, it was the students that really latched on to the process. Not only did they create these one-of-a-kind symbols, but they were able to work one-on-one with artists in their community. It was a hectic three weeks, but to everyone’s surprise, we got it done! We received the permit, worked out all the kinks, stayed on budget, and were ready for the four-day community build! During the build we had over 250 volunteers come to work on the site. Many of these were students who came day after day to help. The students did everything from install mosaics, to plant native plants, paint murals, dig holes, etc. They wanted to help as much as possible in creating this gathering space. They saw this as their space and very much wanted to be a part of the process. With the help of numerous volunteers, donations from local business and contractors, wonderful city staff, and a dedicated community, the Manzanita Gathering Place was built. No longer was this space a blight on the community. Instead, it became a place for them to gather, a safe passage for the children to travel to school and to hang out, and a source of pride for the community. Overall it was an amazing experience, for the Gathering Place team as well as for the community. We do not always need a ton of money or a state-of-the-art playground to improve our communities. This is a powerful and effective process to empower and improve neighborhoods. Whether a vacant lot, a dead end street, or a public right-of-way, these spaces are in all of our communities and it doesn’t take much to transform them, in turn transforming the daily lives of our children and the places they live. This is an awesome story. Glad to hear it and see so many people care. It should be an inspiration for other communities that need this too.